have an effect on such equipment, it will need to maintain an adequate level of electromagnetic (EM) immunity over its lifecycle. 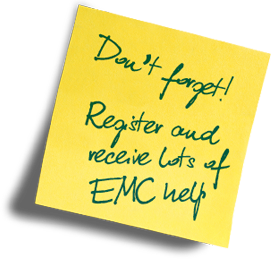 This is the concern of ‘EMC for Functional Safety’. 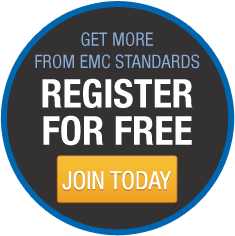 The EM environment that such equipment could experience over its whole lifecycle can be very different from that tested by standard immunity tests used for EMC compliance. IEMI – Intentional EMI – could also be an issue. The physical and climatic environments, plus the wear and tear and misuse that such equipment is subjected to over its lifecycle can cause circuit EM behavior to alter, and can degrade the performance of EM mitigation measures. This paper outlines an approach to specifying the “lifecycle environment” for such equipment, as an aid to safe design and appropriate verification testing. Although this paper focuses on safety concerns, the lifecycle EM and physical environment issues discussed here are also important for high-reliability, mission-critical and legal metrology equipment, to help control financial or security risks. 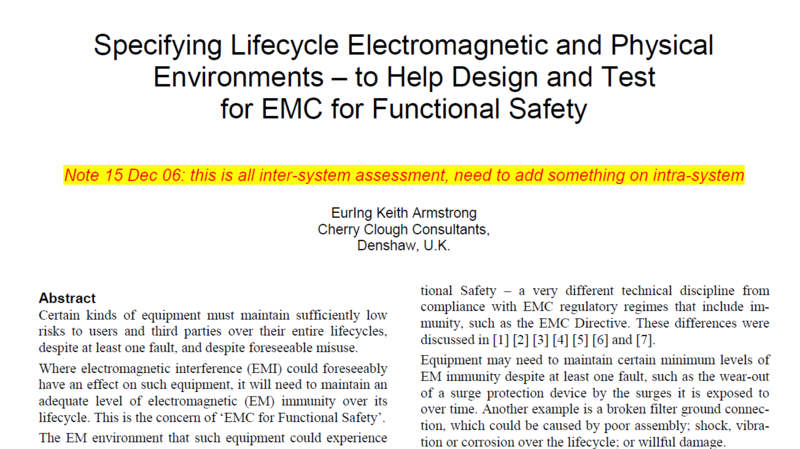 Designing and testing to achieve adequate EMC for functional Safety will be covered in future papers.